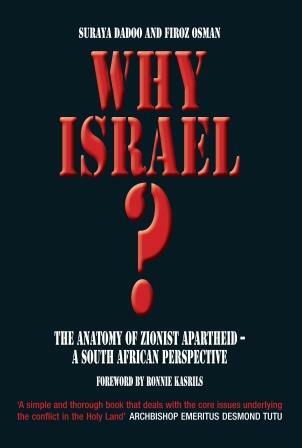 Suraya Dadoo presented her new book ‘Why Israel? The Anatomy of Zionist Apartheid – A South African Perspective’ on 15 March. Dadoo discussed the Israeli government’s actions against Palestine and why it was similar to the apartheid regime in South Africa. The first problem Dadoo raised was the tendency of people to define the conflict as “Arabs versus Israelis”. This erases the Palestinian identity and denies them recognition as citizens suggested Dadoo. One of the most common arguments of ‘Israel’s defenders’ is that Israel cannot be an apartheid state because Palestinians are allowed to vote. However, Palestinians can vote only if they agree not to criticise the Israeli government. “This is democracy according to Israel,” Dadoo asserted. She compared the current voting laws in Israel to apartheid’s Tricameral Parliament system. In South Africa under this system Coloureds and Indians were given limited political power in exchange for their support of the National Party. According to Dadoo, these acts were similar to the removal of what she termed “petty apartheid” by the National Party. Palestinians are given small freedoms, but the overall discrimination remained intact. Dadoo also claimed that racial segregation was rife within Israel. “The colour of your skin determines which roads you can use, how much water you can have and what type of legal system you’re stuck with,” she explained. However, Dadoo was quick to assure the audience that she said was not an attack on Israel itself. Instead, she was simply arguing against the repressive regime that the current government was enforcing. Dadoo is a researcher for Media Review Network.